An insulated, water-repellent, men's sailing jacket, built to adjust to your body temperature and activity level. 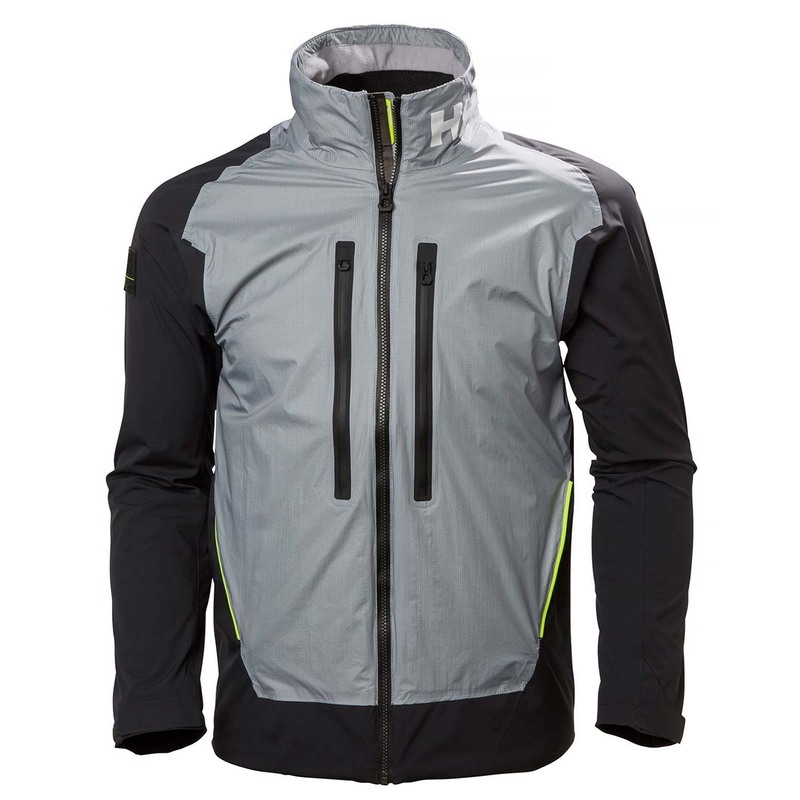 An ideal midlayer or outer jacket. The Ægir H²Flow Jacket is an insulated, water-repellent jacket that can be worn as a midlayer or a stand-alone jacket. This jacket regulates your body temperature with its Helly Hansen H²Flow™ technology that features unique ventilation and comfortable, adjustable, quick-drying construction. This jacket is ideal for shifting activity levels and temperatures that professional sailors and watermen endure out on the sea. The Ægir Offshore Collection, named after the Norse god of the ocean, is developed and tested with the help of offshore racing professionals in the Volvo Ocean Race.